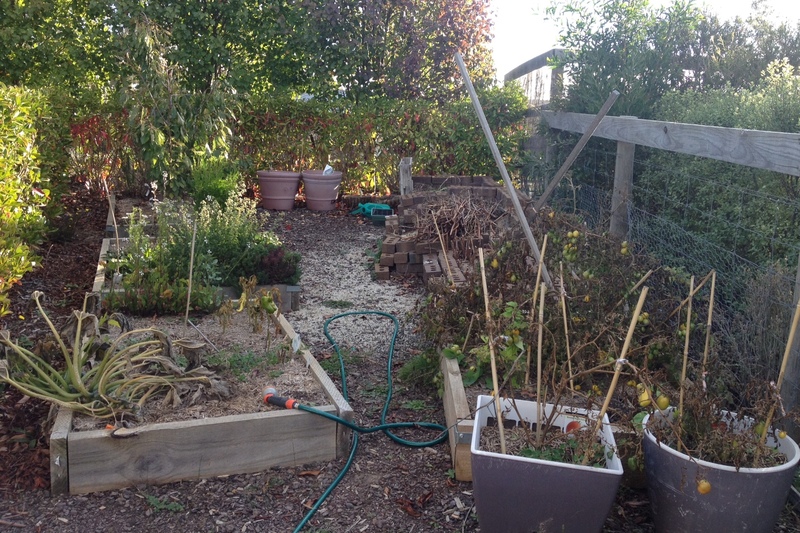 The veggie patch is 70% wastelands at the moment as I pulled up the dead and finished capsicum, tomato, zucchini and (forgotten) bean plants. It is all part of the rebuild the garden plan. A bit depressing in the meantime, though. All bare. 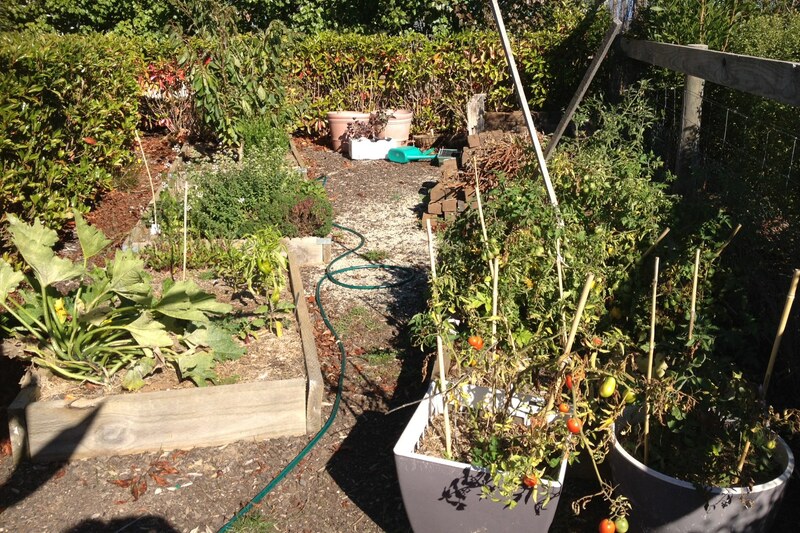 I got about 3kg of tomatoes off the plants (left some particularly hard green ones on the plants to go to waste). They will be made into Green Tomato Chutney as per Stephanie Alexander’s recipe. The tomatoes really were a raging success this year. Sure, some more so than others, but overall I couldn’t be happier. 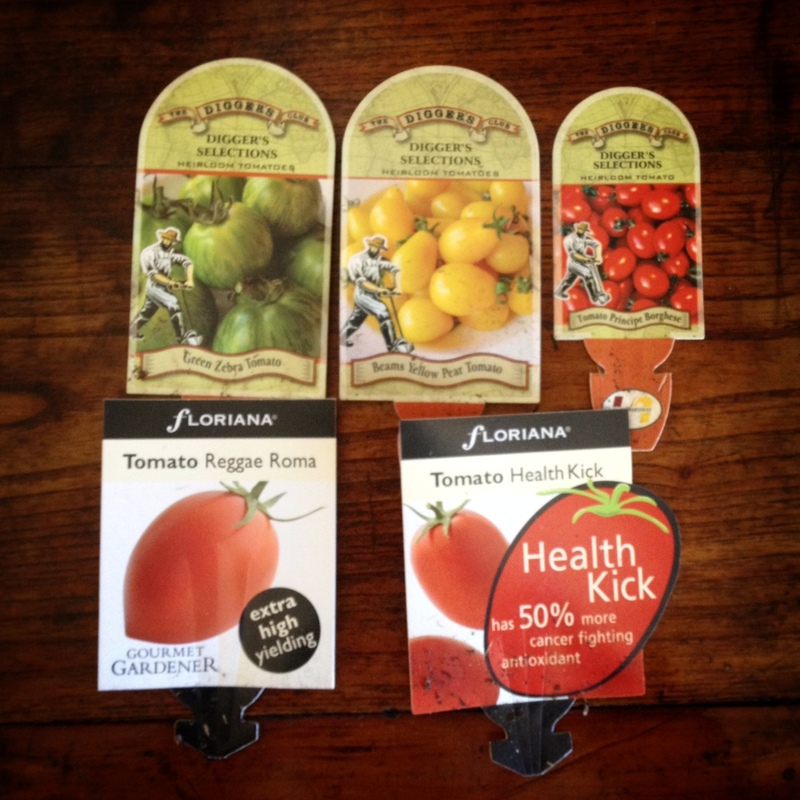 My plant selection was pretty good: Principe Borghese, Health Kick, Reggae Roma, Green Zebra and Beams Yellow Pear. The winner was the pear. Both for taste and yield. The green zebra tasted great, but my plant was a bit stunted so I got tiny tomatoes and not many of them!! The borghese were also really delicious. The health kick tasted good, but I didn’t get a whole heap. Same with the Reggae Roma. This is all in comparison to how many I got from the pear. I’m not sure if it is because the reggae roma and health kick were in pots or if that is just how much larger varieties yield. Next year I am going to plant different large ones. Maybe those ones that are all kind of bumpy (obviously, some research needed). Now is the winter of my discontent? It’s not even winter yet and I feel a little bit forlorn in my garden. The tomatoes, by far the most successful thing ever in my garden, are ended. They are withering with green tomatoes clinging on for dear life. I hope to pick them this week and make some green tomato chutney. I have been warned if they are too small and hard then the chutney will be a bit yuck. That one awesome little eggplant is officially stunted. it, and the capsicum plants, have given up for the season and are dying off. I was so excited by the possibility of capsicum! 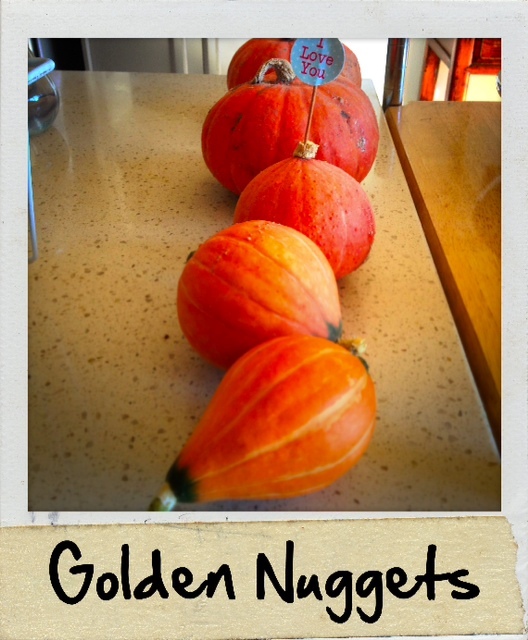 The zucchini and pumpkin plants are sad, twisted brown heaps now. There are big plans this coming winter. MisterInMotion has agreed to rebuild the planter boxes in a more space efficient and (hopefully) more plant-friendly growing design. 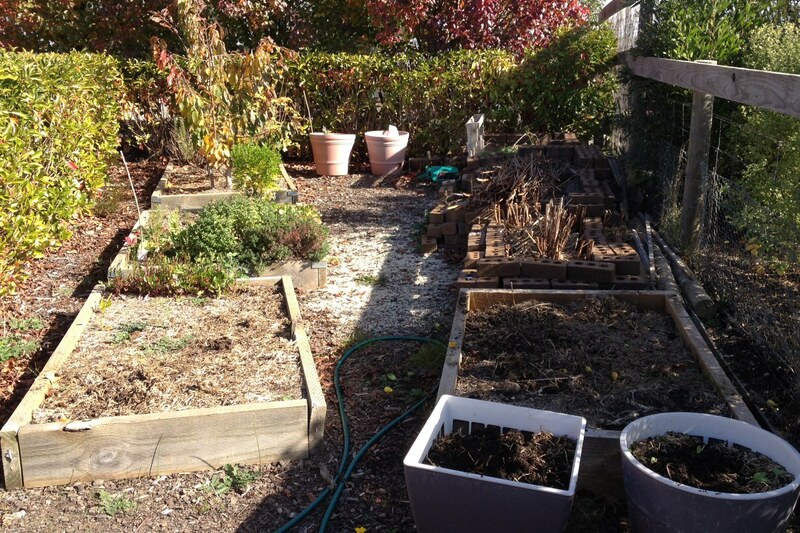 Higher garden beds and bigger. We are all busy at home, so I am certainly NOT pulling apart my garden until a weekend is carved in stone for this to happen.